One of my least favorite aspects of being a land investor is also one of the most important. With a lot of effort, I've been able to understand and grasp how it works and what needs to be done (because this isn't something you can just ignore), but it's definitely NOT where I feel “at home”. Luckily for me, I'm married to a CPA, and she is far more qualified to handle the books for my business activities. I often wonder though… what if I hadn't been fortunate enough to marry her? Most people don't find themselves miraculously married to an accountant… what on earth do they do?? Especially in the early days of running a business, it's not feasible for the average person to pay thousands for a dedicated accountant or bookkeeper. If you can't afford the right help and you have no idea how to do it yourself, what's the next best option for getting your act together? I recently had the opportunity to review a course from Scott Todd called Accounting For Land Investors. Okay… stupid question. Let's skip to the next one. What comes with this course? Note: REtipster.com does have an affiliate relationship with Scott. If you want to check out the course through our affiliate link, you can help support what we're doing here on the blog. The course is broken down into 14 modules and comes with a few key downloads to help you through the content. 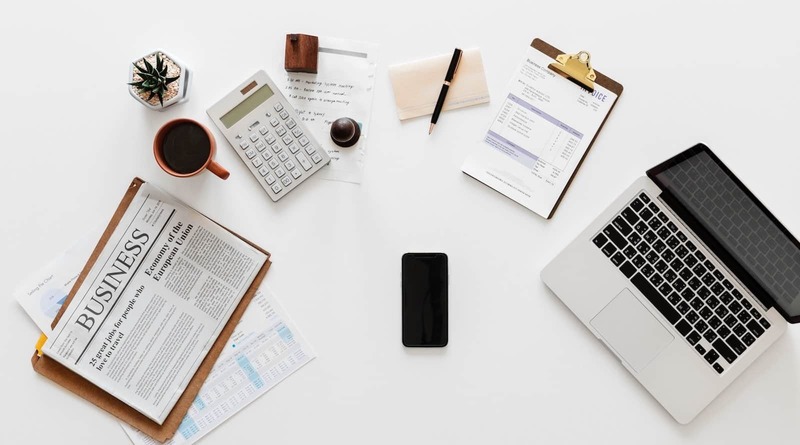 The accounting system Scott uses, and how to get started using it (hint: he uses Xero, but a lot of the content can be applied to other accounting systems just as well). The accounts that need to be added to your business, and why they need to be added. An explanation of how to understand assets, liabilities, revenue and expenses (if you've never taken a college-level accounting class, this will be helpful). Examples of real deals and how they are transacted in Scott's accounting system. How to get VERY specific about tracking income and expenses – down to each property and person involved (this is very important if you want to understand which properties end up being the most profitable for your business). He shows the exact steps that go into logging the purchase and sale of a property. Scott's spreadsheets (the ones he and his bookkeeper uses). How to handle the collection of monthly payments (for seller financed deals). This one is particularly important for land investors, because this type of income doesn't apply to many other businesses, and there are some specific issues land investors need to be aware of here. How to determine whether you're a dealer or an investor. How to account for property taxes and other ongoing expenses. Some cool ideas and tricks you can use to utilize some tax advantages. How to find people on Upwork, give them the training program, and have them do the work for you (so you can simply double-check their work). Note: If you go this route, you'll want to take special care to make sure you're finding competent people – which is NOT always a guarantee on Upwork, or in the field of accounting… so be careful. In terms of the course format, the material is broken into 14 modules/videos – each one about 15 – 35 minutes in length. From what I could tell, it looked like most of the videos were originally recorded as a live webinar and then repurposed as a course. I think the digital downloads that came with the course were helpful too. As part of the course, you'll also get access to an excel spreadsheet Scott uses that helps keep track of sales numbers, and it also uses the “profit first” formula to make sure YOU are getting paid in this whole process (which is a surprisingly easy thing to miss). It's also a helpful tool that can be used to communicate with your accountant. I think the best way to consume this kind of content is (to the extent possible) follow along with everything Scott is doing in each of his videos. Don't just watch the videos, but try to do the same things he's doing, as he's doing it. Just speaking for myself, this kind of content is much more likely to “stick” if I actually apply it, even if it's a fictional scenario. The biggest benefit of this kind of course, is that it's not just a regurgitation of a bunch of textbook theory, you're actually able to see exactly what the work looks like and how it's done in the software solution that Scott recommends. This kind of thing is what actually makes the lessons palatable and consumable, which can go a LONG way toward the implementation of it. As mentioned earlier, Scott is an easy guy to listen to, and he does a good job of covering all the basics (including some practical lessons he's learned from his years in the business). It really felt like I was learning from someone who was smart and experienced enough to be a legitimate mentor. The hands-on tutorials he shows in Xero are SUPER helpful and really makes the course work. Without this kind of hands-on teaching, the course would've have been nearly as effective, so I'm glad he chose to teach it this way. He includes some other helpful automation tricks (like how to integrate Zapier with Xero to eliminate unnecessary manual steps) and explains a lot of the rationale behind what he does (i.e. – why he charges a documentation fee for seller financed deals, why he uses the cloud-based version of Xero, what parts of the work he outsources to his accountant, etc). There aren't a ton of downloads that come with the course, but one of the more important ones is the spreadsheet he uses to run his numbers, stay organized, determine the profit on each installment payment and communicate with his accountant (among other things). I thought he did a good job of clearly showing how this spreadsheet is used. He spends a lot of time answers questions from the original attendees of his webinar, which I thought helped add a lot of clarify and address a lot of the questions I would've had if I was in the early stages of learning this stuff. For the most part, I thought he did a good job of answering all of these questions pretty thoroughly. I thought each of the 14 video modules could've benefitted from a short, written summary of what each video was about. This would've allowed me to easily skip around to the videos that covered the topics I wanted to learn more about. Some of the videos were a little slow-moving and could've used a good edit to cut out long silences and give it more of a polished look (keep in mind, this was originally recorded as a webinar, so includes everything from the original presentation). Luckily though, the videos can be sped up to a faster rate, so this sort of mitigates the issue. Overall, I think Scott is a good, dynamic speaker and he's easy to listen to (which is a very helpful thing to have when learning this kind of subject matter). If my college accounting professors had been like this, I probably would've gotten much better grades in this area… but I wasn't so lucky. That being said – we're still talking about accounting here, and there's no way to escape the fact that this is some fairly dense material. Having a good speaker like Todd certainly helps, but there are some aspects of accounting are just plain boring (to me, anyway). This is something that the best presenter in the world can't really overcome, the onus is on me to pay attention and stick with the program. If you're anything like me, make sure you've got plenty of coffee or red bull on hand (or coffee mixed with red bull), because you're going to need it. I liked how I could literally just follow exactly what Scott does in the videos, and it would tailor my accounting system to cover most/all of the most imperative parts of my land investing business. To be honest, we're actually lucky that this kind of instruction is out there somewhere. Back when I got started, I had to figure this out for myself and it took a ton of time. It would have saved me a TON of headaches if we would've just followed some easy instruction and used a system like Xero. This looks very helpful and I look forward going through the course! One aspect related to accounting that I haven’t seen much airtime is taxes. I know each state will differ depending on where the property is bought and sold and maybe even where the land investor resides but is there a general guideline out there? Once a property is bought then sold for profit, the government will want their cut. If you have blogged on this topic please post a link! I fear then end of the year unpaid taxes and what may happen! Chris Bibb (cpbibb@aol.com) does our accounting for our four vacant land real estate investing companies, and through referrals, has picked up another ten or so vacant land real estate investors. Chris first started as our accountant for our non-profit foundation, then became a trusted advisor, then our accountant for our vacant land real estate investing companies, then he formed an investment company and is now one of our biggest Investors. Chris UNDERSTANDS the vacant land real estate investing business in a way that most accountants do not. His prices are fair and affordable, even for small and / or new vacant land real estate investors, and his technical competence in accounting in general is most excellent, with the added bonus of his specialty in conducting accounting operations in the vacant land real estate investing space. That is how we do our accounting: we delegate it to the trusted and highly competent care of Chris Bibb, which gives us time to do more deals. That’s great to know Josh, thanks for sharing! Finding an accountant that actually understands the land business is pretty hard to come across (in my experience, anyway). Good to know you found one who is competent enough to handle this stuff. Thanks for sharing this Josh – sounds like Chris is a great resource! Good review of Accounting for Land Investors. I took the course. I think it is fairly simple to follow. One doesn’t have to know double entry accounting to set up their books right away. Thanks Rod. Glad to hear you found it helpful.